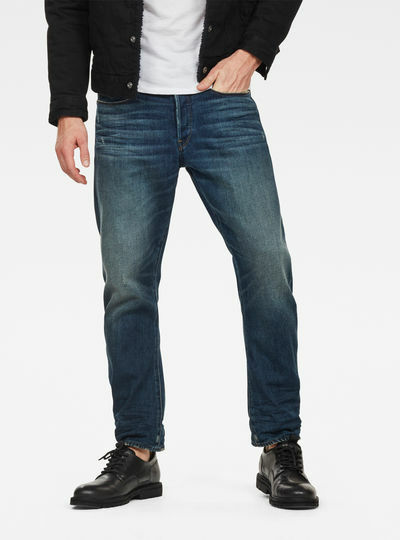 In the G-Star RAW online store you will find a wide assortment of jeans for men. 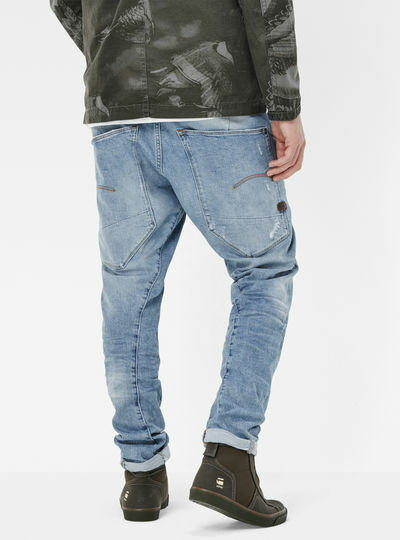 Making use of innovative design and denim fabrics G-Star RAW has produced a collection of fashionable men jeans that provide a distinctive look for every man. Ranging from classic styles like the 3301 to modern styles like the D-Staq in a wide variety of finishes our collection offers the perfect pair of jeans for every man’s wardrobe. Apart from designing men’s jeans in a variety of shades we’ve also got a number of different fits and shapes ranging from tight to loose for you in stock. Picking your new pair of jeans has never been so easy. We have the perfect fit to suit each preference. For a close-fitting look and feel pick a skinny or slim fit. The skinny fit is the tightest fit and the slim fit offers a perfect balance between a fitted look with the comfort of a looser fit. 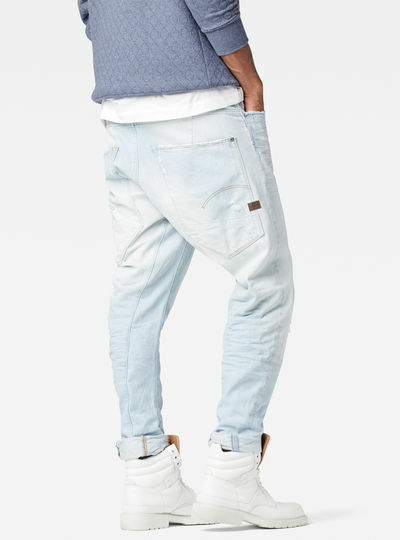 If you prefer a more loose fit go for a tapered straight or relaxed fit. The tapered and straight fit offer more comfort. The relaxed fit is the most loose fit. Besides creating various fits to suit each wish we’ve also created different styles men’s jeans. 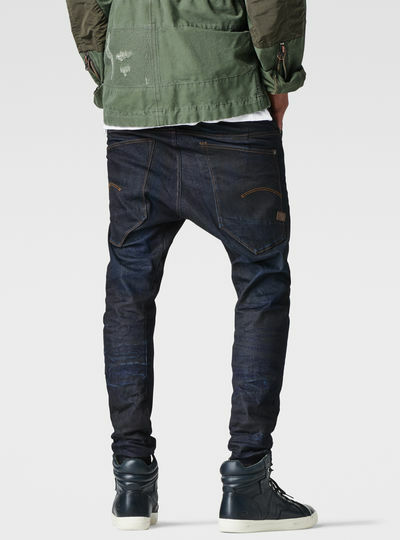 A jeans style is a specific jeans design such as the G-Star Elwood. Our styles range from classic 5-pocket jeans like the 3301 to more contemporary jeans like the Arc and innovative 3D constructed denim like the Motac Deconstructed 3D. Every style is created in different fits and colors to make sure that you find your perfect pair of jeans. An advantage of ordering your favorite men’s jeans in the G-Star RAW online store is that you could be wearing them within days. Pick your favorite pair and have it delivered to your home for free.